Ready For Best Carpet Cleaning in the Placerville Area? You'll love our deep dry extraction carpet cleaning service! We Guarantee It! You Won't Believe The Difference! 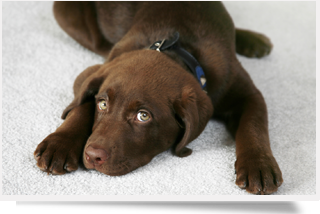 100% Clean, Dry & Healthy Carpet Cleaning: If spots, spills, pets or dirty, matted traffic paths have made your carpet less attractive, it’s time to call Hadley's ProClean for “Cleaner, Drier, Greener, Healthier” carpet cleaning. Welcome to the website of Placervilles original deep extraction carpet cleaning company. Our #1 mission is to provide an eco-friendly, safe carpet cleaning that will leave your home looking and feeling fresh, clean and healthy. Our goal is to provide the best carpet cleaning ever and and exceptional service experience! We can handle the really tough jobs! Our 100% eco-friendly system can really clean! Check out our before and after images! 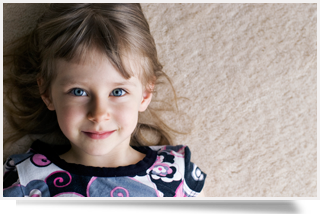 Our deep extraction carpet cleaning service is incredibly effective and very affordable. That’s why so many our loyal clients – residential and commercial – use us exclusively for their carpet cleaning needs. We always assure your 100% satisfaction… We Guarantee It! We’re happy to provide a FREE No-Obligation Quote! While you’re here, sign up to receive our special offers and please feel free to call us with any questions! Hadley's did an amazing job on my carpets, I didn't even know that you could get your carpets clean and they could even be dry that fast. The results were better than any other company I've used and they were dry instantly. I've already told a couple of my friends, they use their service and feel the same way I do. Hi my name is Donna Hurst, my carpets were in really bad shape so I searched on the Internet and I found Hadley's carpet cleaning. They were very polite and informative from the get-go, the price they quoted me over the phone seemed very reasonable so I decided to give them a try. I compared my bill from the previous steam cleaner and it turned out Hadley's was actually cheaper for their dry organic carpet cleaning, and I didn't have to wait a day and a half for my carpets to thoroughly dry. Hadley's did the impossible, they took my filthy stained carpet and made them BEAUTIFUL AGAIN!!! I could not believe what they got out, and it was TOTALLY DRY by the time they were finished! I WILL NEVER USE ANYONE ELSE! At Hadley’s ProClean Carpet Cleaning, we’re passionate about providing the best carpet cleaning service you’ve ever experienced at at price that’s represents your best carpet cleaning value. We can handle the really tough jobs! Our 100% child and pet friendly system can really clean! Check out our before and after images! With our unique deep dry extraction cleaning system, you will receive not only the deepest carpet cleaning available, but also peace of mind knowing we use safe, non-toxic, eco-friendly products. Our process thoroughly rids your carpet of dirt, stains, allergens and other contaminants and even removes soil and detergent left behind by other methods or inexperienced carpet cleaners and your carpet is dry instantly. You’ll Love It… We Guarantee It! Deep Dry Extraction Cleaning means Super Clean DRY CARPETS! Don’t be misled by other carpet cleaning companies who use an inferior carpet cleaning process. If they can’t remove 100% of their dirty soap and water, your carpet isn’t actually clean. We use a 100% Natural Deep Extraction Carpet Cleaning System. It’s the NEW WAY to clean carpet! Deep extraction carpet cleaning means Really Clean Carpet! Don’t be fooled by other carpet cleaning companies who promote a quick dry time. Most carpet cleaners will leave your carpet wet for hours – maybe days. Also, if they can’t remove all their dirty water, your carpet is clearly not clean. We exclusively utilize a 100% Deep Extraction Carpet Cleaning System – the #1 Recommended Carpet Cleaning Method by carpet manufacturers Worldwide. At Hadley’s ProClean Carpet Cleaning, we take pride in our reputation, experience, education, systems, and guarantee. Our “Deep Extraction” Carpet Cleaning system is the new way to clean carpet! Don’t be misled by other carpet cleaning companies who claim to offer a superior carpet cleaning system. If they can’t remove all their dirty water and leave your carpet virtually dry immediately after cleaning, your carpet is clearly not clean. We exclusively utilize a 100% Deep Extraction Carpet Cleaning Method recommended by the top carpet manufacturers worldwide. At Hadley’s ProClean Carpet Cleaning in Placerville, we often run into some really tough jobs. The question is always can any thing could be done to save our carpet or is the only option to invest in new carpeting? Is our deep extraction carpet cleaning system powerful enough to handle the really tough jobs? Check out our before and after images and decide for yourself. You won’t believe the difference! “I want to thank you for the ‘extra effort’ you showed me in cleaning my sofa and love seat. That was really special, and above and beyond how most businesses operate. My sofa and love seat look and smell great. I’m very pleased. It was a pleasure doing business with you. I will highly recommend you to anyone.” ~ Anne M.
“Thank you for the outstanding and very professional service you provided. We truly enjoy doing business with you.” ~ Kathy D.
“Thank you so much for your hard work. The carpet looks like brand new! I appreciate you squeezing us in so quickly as well. I really appreciate your professional service.” ~ Gale D.
“Thank you for your excellent job and your kind manner.” ~ Sue M.
“We thought we had to remove and start over on our grout. Your color sealing looks great! It’s like a whole new floor!” ~ Chris F.
“I wanted to let you know that I am so pleased with the results of my carpet cleaning and your friendliness.” ~ Jennifer K.
“Thank you for your excellent service! I will spread the word.” ~ Joanne D.
We know you want an exceptional service but most likely you would also like to save money too! We want to give you the opportunity to do just that by signing up to receive our exclusive discounts and special offers by email and text. These are specials that aren’t available to the general public. Sign up today and you’ll automatically receive notification for special savings by text or email. We proudly provide carpet cleaning, furniture cleaning, pet stain & odor removal and vent cleaning to Placerville and the surrounding area.